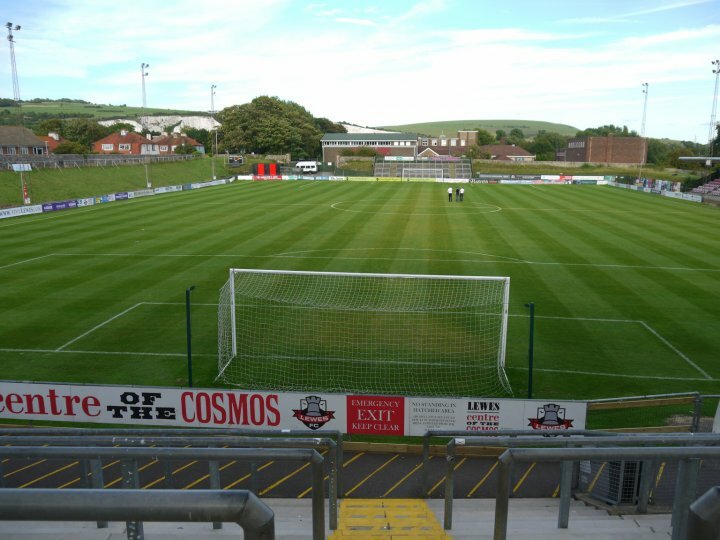 The Annual General Meeting of Lewes Community Football Club is scheduled to take place on Thursday 25th October 2018 at 7.30pm at The Rook Inn, The Dripping Pan, Mountfield Road, Lewes, BN7 2XA. In terms of the elections to the Board of Directors, there were three places available, and as of the deadline on midnight on 12th October 2018, we received three applications meaning that there will be no need for an election and the three candidates, listed below will be elected, subject to ratification at the AGM and passing the FA's current Fit and Proper Persons Test. "Having been elected back in 2015, I am seeking re-election for a further three year term. In my election address three years ago, my core pledge was introduce a 12th Man Fund- a supporter led donation campaign raising funds solely for the purpose of paying for additional players, giving fans a recognisable identity on the pitch as well as off it. That Fund was introduced in December 2015 and played a fundamental role in boosting the playing budget for the men’s team and eventually contributed towards their terrific success of last season. Such was the success of the 12th Man Fund, a few months later a 12th Woman Fund was introduced and has proven to have made an equally beneficial impact to the women’s team. This great club wouldn’t exist without the time given by its volunteers. Over the past three years, I have not only helped increase the Club’s volunteer pool by approximately 20% but also introduced measures to improve our volunteer offer, ensuring that those that so kindly give up their time are appropriately valued for doing so. I have facilitated improvements on our community side in setting up two food bank collections, organised transport to away games for supporters with mobility impairments and am currently in the process of establishing match day transport for those in our community suffering social isolation. I am enormously proud to have been an elected official and a fan of the club in a time when the men’s team achieved promotion to the Isthmian Premier Division, when the club became the first football club in the world to pay its players equally and in a period when the women’s team successfully applied to enter the FA’s Women’s Championship. Whether things are going well or badly, I stand on the terrace at every game and have always addressed comments, questions and concerns from fans in an open and honest fashion and have never shied away. Indeed, I see myself as a fan first and foremost and elected official second. Boost the benefits and rewards of being an Owner beyond its current level; foster greater overlap between the Board, Owners, volunteers and fans; heighten the role the Club plays in the community specifically towards those organisations and individuals most in need of support; do all that is possible for the Club to become self-sustainable, work with the Board, fans and volunteers to boost ownership levels and not least, ensure that all of our teams are given the platform to continue their recent success. It has been a privilege to have served this Club as a director these past three years and I would dearly like your support to serve another three." "If elected, my goal will be to increase club ownerships: double in the short term - and, if we meet that target, then try to treble it. This is a parity thought. Budget parity (with some help from our gender parity initiatives). We do well on ownerships today. Across the world, around 1.5k people contribute to the success of the club. But we need to punch up a division or two. Ownership generates approx £40k a year - about 10% of the club’s total budget. Fan-owned isn’t yet fan-fuelled. We rely on generous loans and donations to make ends meet. If we double ownerships, we generate an extra £40k a year. A x2.5 increase generates another £60k. Trebling means an extra £80k. Doable? According to Supporters Direct, the average ownership base for a fan-owned club is 2.5k. Until recently, FC United had 5.4k owners. FC United has a mission. We do too. We have a few, in fact. As an originator, we fly the flag for community-run clubs internationally; we provide essential sport-related resources, experiences and facilities to the local community; we give people great shopping discounts at local stores via our Support & Save scheme, and we’re now a voice and vehicle for real social change with Equality FC. That’s a lot of goodness to get more people behind. An extra £40k will plug part of our current average budget gap. An extra £80k will practically close it - in a sustainable way, so long as we continue to deliver on- and off-pitch success. How? We’ll create new ownership schemes based upon the fantastic facilities we have - encouraging clubs, schools and friends to use our 3G. We’ll increase our international base by creating new affiliate links with other like-minded clubs. We’ll build new offers for local businesses and shoppers. And we’ll increase participation in our equality initiatives, as the rest of society races to get on board. Do this, and we’ll make the club a better place to be. A 20-30% contribution to the budget would make ours a fan-run club. It’d bring greater stability and ambition. At the end of my board tenure, I’d love to say that Lewes FC owners and supporters generate the highest proportional contribution to a fan-owned clubs’ revenue. That’d be a very healthy outcome. Wherever possible, we’ll do this digitally. Outside of Lewes FC, digital is my work. I used to be a board member up until 18 months ago. I loved it, and I miss the team. Sadly, my previous role took me away - usually to the other side of the world. I hope you share my enthusiasm for this." Finally, we have a new name and face who will be joining the Lewes CFC board - Galia Orme. As a woman, the biggest issue for me though, has been the inherent inequality between male and female football teams and the huge disparity in pay, facilities, media coverage and overall support. When I discovered the inclusiveness and equal pay policy at Lewes FC, I became a fan and supporter of the Rooks. I have been regularly attending Sunday matches for around a year now and became an owner in August 2018. This season, my business CHOC CHICK is sponsoring Lewes FC Women’s Centre Forward Amy Taylor. I am extremely proud to be able to support the women’s team and am keen to join the Board of Directors and support the club further. I am the mother of two daughters and a successful local entrepreneur, running a chocolate business for the past 10 years with products sold in around 1000 stores in the UK and over 200 stores in Europe. I have experience in business development, product development, marketing, communications and public relations and believe my skills and experience will enable me to make a positive contribution to the board. My aim would be to help grow ownership numbers, increase sponsorship and encourage attendance at matches, particularly the women’s team matches. I feel the equality in football aspect of the club is a strong draw for women, which in turn will help encourage family participation at matches and enhance community involvement with the club. I would like to be a part of this growth in women’s participation in football and would be delighted to be considered for a position on the Board of Directors of Lewes Community Football Club. As such, I would like to submit my nomination."